Feeling far away from “peace on earth, goodwill toward men”? Keep reading. Christmas time can be chaotic. When you add personal grief, tragedies on the news, and division within our communities, life can feel a long way from the carols celebrating a newborn baby in a Bethlehem manger. But that baby came into the world precisely because of the chaos and the hurt you’re feeling. Christmas celebrates that God became a human and stepped right into the middle of our hurting, angry, chaotic world to bring us peace—peace among people and, even more importantly, peace with God. 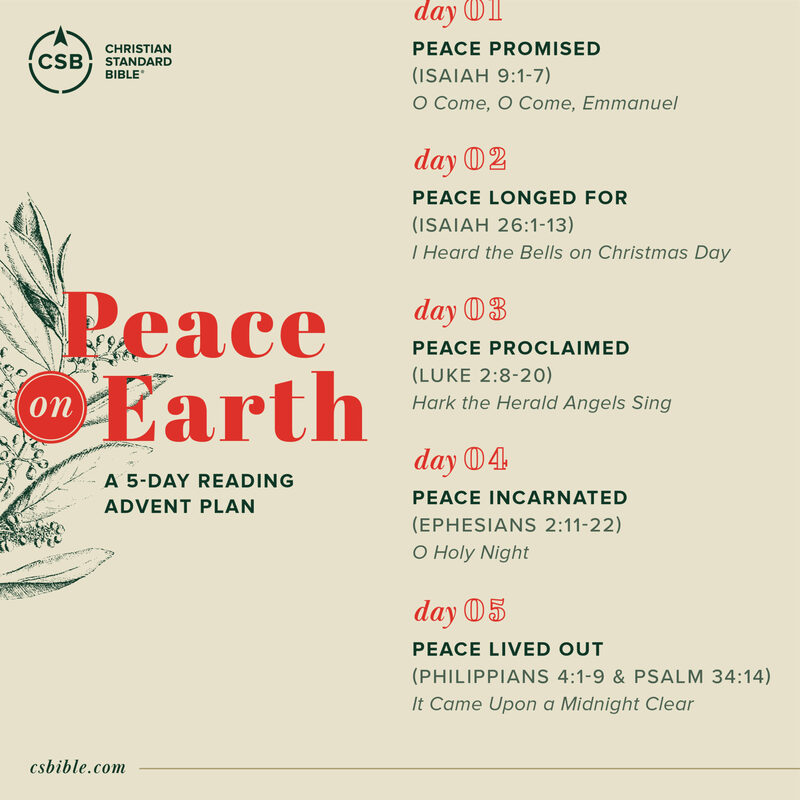 This Advent season, we invite you to join us in looking at the peace brought by Christ. We’ll be posting scripture passages and short reflections every day for the next five days on Instagram and Facebook, and we’d love to have you follow along. Encouraging people to read, understand, and share God’s living and effective Word.